New drugs can yield billions of dollars for pharmaceutical companies. Because it takes many years to develop a drug, undergo clinical trials, and get it to market, drug companies will do virtually anything to get as much profit as possible for each new drug. This is especially true when considering that many proposed drugs will never make it through development, past clinical trials, or ever receive FDA approval. Some drugs are later found to be toxic or otherwise harmful to patients after being put on the market and then have to be withdrawn, while the manufacturer may be subjected to numerous lawsuits. As our Boston dangerous drug injury lawyers can explain, Paxil was one drug that caused serious injury after being put on the market. Despite its wide use, many victims experienced significant side effects after taking Paxil. Those side effects included congenital heart problems, and children of pregnant mothers who took the drug were born with ventricular and arterial septal defects. There was a link discovered by the FDA between Paxil and suicidal ideation in young people, and actual suicides of adult users have been linked to the drug. According to a recent news feature from Science 2.0, researchers believe many potential side effects and other adverse events associated with new drugs are not discovered in initial testing because of how testing is performed. New drugs are routinely tested on mice. Not the mice you might see living in your home or in the wild, but docile, well-fed mice that live in a cage and do not have to interact with the environment in a way normal mice do. 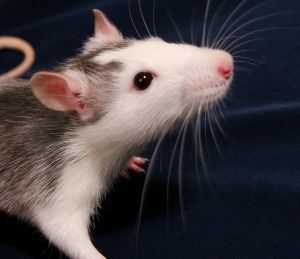 One of the reasons lab mice are used is due to their availability and that they are supposed to be free from disease. Essentially, it is hard to see what effect a medication may have on an animal that is not required to perform in a way that is normal for that animal outside the laboratory environment. New tests are using house mice, and placing them in competition for food like normal house mice. This is done through the use of large housing areas with multiple desirable and undesirable nesting sites. When studying Paxil, researchers took 20 breeding pairs of mice and fed them food containing the antidepressant. After the mice had produced four litters, the offspring were placed in the competitive environment, along with mice in a control group. Male mice exposed to Paxil were found to be 50 percent less likely to control a territory than males in the control group. Paxil males were also found to have lower body weight and died more frequently than those in the control group. Paxil mice also produced less than half as many offspring during the experiment. This is believed to be due to toxicity in the drug that would not have been discovered with conventional testing methods. While this may allow problems to be discovered sooner in the case of new drugs, that is not what the drug companies want. Many drug makers have been known to hide or minimize adverse events in hopes of turning large profits with little regard for the safety of users.